Moaksan Provincial Park has breathtaking views. The Horizon festival celebrates Korean tradition. 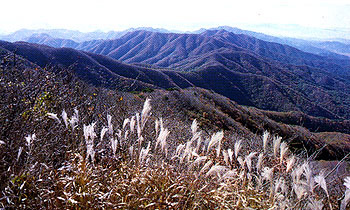 Gimje is an agricultural-industrial city in the Jeolla province, covered with rice fields. 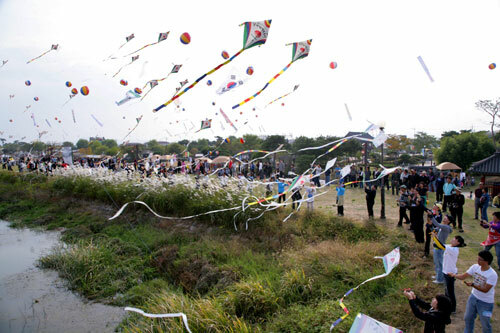 It’s a popular destination in Korea largely due to its annual cultural festival, called the Horizon Festival. The event involves a wide set of activities, from samulnori (traditional percussion), a drawing contest, ssireum (wrestling), a street parade, and even a traditional wedding. For those interested in farming, there’s even a rice harvesting performance. Read about the area’s most famous dishes here. Gimje has national treasures, historic sights, and national monuments. Here’s a list of hotels in the area. Check out Gimje Tourism to find out even more.